FIGURE. Functional divisions of the gait cycle according to Perry and Burnfield. Image from Stöckel T, Jacksteit R, Behrens M, Skripitz R, Bader R, Mau-Moeller A. The mental representation of the human gait in young and older adults. Front. Psychol. 2015;6:943. Based on Perry J and Burnfield JM. Gait Analysis: Normal and Pathological Function. New York, NY: Slack Inc.; 2010. Use is per Creative Commons License CC BY. If falls are preventable, why are they the leading cause of fatal and non-fatal injuries in the elderly? The answer may be poor communication: physicians don’t ask, and patients don’t tell. Current fall prevention guidelines recommend that physicians inquire at least annually about falls and evaluate all patients over the age of 65 for fall risk.2 “Most primary care physicians are good about doing diabetic foot checks, but assessing patients for fall risk is usually an afterthought,” said Robert Eckles, DPM, MPH, Dean of Clinical and Graduate Medical Education at New York College of Podiatric Medicine. Less than half of all seniors who fall tell their doctor,1 so it is critical that physicians initiate the conversation. Otherwise, gait or balance dysfunctions in at-risk individuals can go undetected. Older adults are falling for several reasons, including poor posture and loss of core strength due to lack of physical activity explained Courtney Johnson, PT, DPT, a physical therapist at Physio in Dunwoody, Georgia. Joint deterioration and muscle weakness in the lower extremities can also cause individuals to drag their feet when they walk. Ill-fitting footwear. Nearly 33% of adults go barefoot or wear slippers inside the house.6 For older adults, shoes with stiff outsoles or athletic shoes are the best for performing daily activities on a variety of surfaces.6 When selecting footwear, it is important that people consider that foot size changes throughout adulthood, but many people do not get their feet sized regularly. Indeed, a 2018 systematic search and narrative review of the literature reported one survey of older adults that found that 26% of men and 47% of women had not had footwear size measured in more than 5 years.7 Poorly fitting shoes can cause foot pain by restricting movements or by producing friction blisters. Prescription medications. Many of the drugs prescribed to older adults can impair balance and increase fall risk. Diuretics, beta blockers, anticonvulsants, anti-hypertensives, benzodiazepines, and antidepressants should be avoided in individuals with a significant fall risk or a history of fall.6,8 (See “Beers Criteria…” page 51.) With the exception of gabapentin and pregabalin, podiatrists seldom prescribe these high-risk medications; however, Eckles said that podiatrists need to assess medications in all patients that have fallen or are at risk for falls. Close monitoring is recommended to determine whether the therapeutic benefit outweighs adverse events. Psychosocial factors. Fear of falling is often overlooked as a fall risk in older adults. “Every adult over the age of 70 has had a friend or family member who has been injured by a fall,” said Eckles. “As a result, these individuals stiffen when they encounter wet or uneven surfaces, or obstacles.” By adopting this stiffening strategy, a person with heightened fall anxiety reduces range of motion and with it, his/her ability to adapt to environmental challenges. Time is a major barrier to effective fall risk evaluation for many physicians. Many physicians forgo screening because they think risk assessments take too much time. In addition, many are unaware that falls prevention services are reimbursable and do not require a specific code. “No one performs the Timed Up and Go (TUG) test because they think it is too time consuming,” explained Eckles. On the contrary, TUG is a highly validated assessment that can be administered in about 10 seconds and is a reliable diagnostic tool for gait and balance disorders. It measures the time that it takes for a person to rise from a chair, walk three meters, return to the chair, and sit back down. A score of ≥ 14 seconds indicates a high risk of falls. Due to the multifactorial nature of gait and balance disorders, several types of treatments are usually needed to restore, maintain, or improve physical health. “Every adult 65 and older should be regularly assessed for fall risk to identify the types of interventions required, even if they have not yet experienced a fall,” said Thurmon Lockhart, PhD, Professor of Biomedical Engineering at Arizona State University. Targeted interventions can reduce falls by 30% to 40%.9,10 Eckles suggested that, at minimum, these interventions focus on pain management, improving footwear, exercise habits, depression screening, bone screening, and a review of current medications. Patients with gait and balance issues are referred to a physical therapist for further evaluation of the patient’s mobility status and functional level. Physical therapy is effective for targeting gait, posture, or strength deficits. “Improvements can be seen in as little as 4 to 6 weeks, depending on the intensity of therapy,” said Johnson. However, gains are much more difficult to attain in older adults who are sedentary, have dementia, or are not adherent to therapy, she explained. “Shoes and flooring are major barriers to compliance,” said Eckles. Therefore, it is important to get caregivers involved in making the living environment safe. Nearly 80% of older adults have foot pathologies, including bunions, calluses, and hammertoes that are caused by shoes that unevenly distribute plantar pressure.11 Low-heeled, slip-resistant shoes with a wider and higher toe box improve balance by stabilizing the foot and reducing plantar pressure. Technology—virtual reality, smart homes, and apps—is being used to motivate individuals and prevent falls before they happen. There is a lot of excitement surrounding smart-home technology which uses sensors on walls and floors to collect data about the person’s gait, posture, number of falls, and instability.13 These sensors can be used to monitor and assess daily activities in older adults who are at high risk for falls. Lockhart explained that there is some evidence that using this technology may help prevent falls in older adults. Preservation training is another area of growing research in falls prevention. Early research from Lockhart’s group at Arizona State University demonstrated that humans possess an innate adaptive behavior which reduces the likelihood of slips, trips, and falls after the first incident. He calls this behavior kinetic learning. Findings from these studies led his team to develop a slip simulator which is marketed by Industrial Biodynamics and used by top companies such as UPS and General Electric to reduce workplace falls. Armed with these findings, Lockhart’s team is now applying the Slip SimulatorTM technology to older adults with Parkinson’s disease. In an article currently under peer review for publication, the group reports positive changes in posture and stability in patients with Parkinson’s disease. Centers for Disease Control and Prevention (CDC). Home and Recreational Safety: Important Facts about Falls. Updated February 10, 2017. https://www.cdc.gov/homeandrecreationalsafety/falls/adultfalls.html. Accessed January 30, 2019. CDC. Resource Algorithm for Fall Risk Screening, Assessment, and Intervention. Updated March 24, 2017. https://www.cdc.gov/steadi/pdf/STEADI-Algorithm-508.pdf. Accessed January 30, 2019. Salzman B. Gait and balance disorders in older adults. Am Fam Physician. 2010;82(1):61-68. Winter DA, Patla AE, Frank JS, et al. Biomechanical walking pattern changes in the fit and healthy elderly. Phys Ther. 1990;70(6):340-347. Elble RJ, Thomas SS, Higgins C, et al. 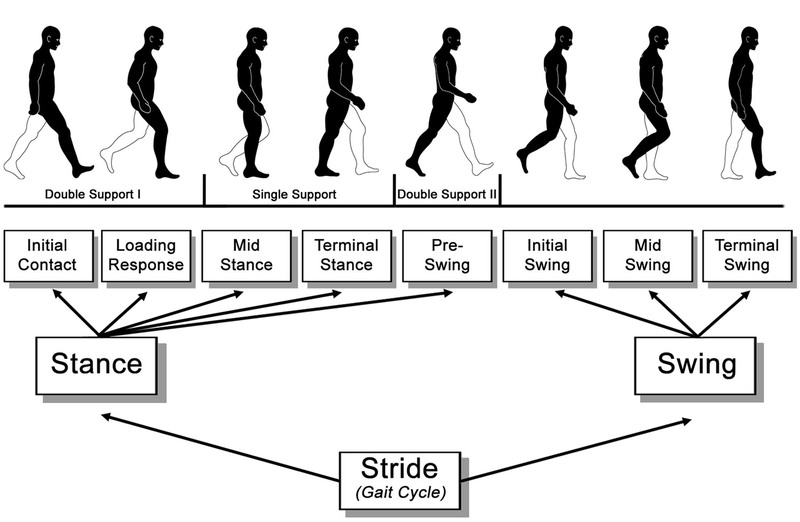 Stride-dependent changes in gait of older people. J Neurol. 1991;238(1):1-5. Eckles R. Fall Risk and Podiatric Intervention. Podiatry Management. 2016; April/May:161-169. Buldt AK, Menz H. Incorrectly fitted footwear, foot pain and foot disorders: a systematic search and narrative review of the literature. J Foot Ankle Res. 2018;11:43. The American Geriatrics Society (AGS). Pocket Guide to the AGS 2015 Beers Criteria. Published 2015. http://www.ospdocs.com/resources/uploads/files/Pocket%20Guide%20to%202015%20Beers%20Criteria.pdf. Accessed January 30, 2019. Chang JT, Morton SC, Rubenstein LZ, et al. Interventions for the prevention of falls in older adults: systematic review and meta-analysis of randomised clinical trials. BMJ. 2004;328(7441):680. Steinberg M, Cartwright C, Peel N, et al. A sustainable programme to prevent falls and near falls in community dwelling older people: results of a randomised trial. J Epidemiol Community Health. 2000;54:227-232. Ikpeze TC, Omar A, Elfar JH. Evaluating problems with footwear in the geriatric population. Geriatr Orthop Surg Rehabil. 2015;6(4):338-40.
de Morais Barbosa C, Bértolo MB, Gaino JZ. The effect of flat and textured insoles on the balance of primary care elderly people: a randomized controlled clinical trial. Clin Interv Aging. 2018;13:277-284. Liu L, Stroulia E, Nikolaidis I, et al. Smart homes and home health monitoring technologies for older adults: A systematic review. Int J Med Inform. 2016;91:44-59. Industrial Biodynamics. Slip SimulatorTM. https://www.inbiodyn.com/slip-simulator/. Accessed January 30, 2019.